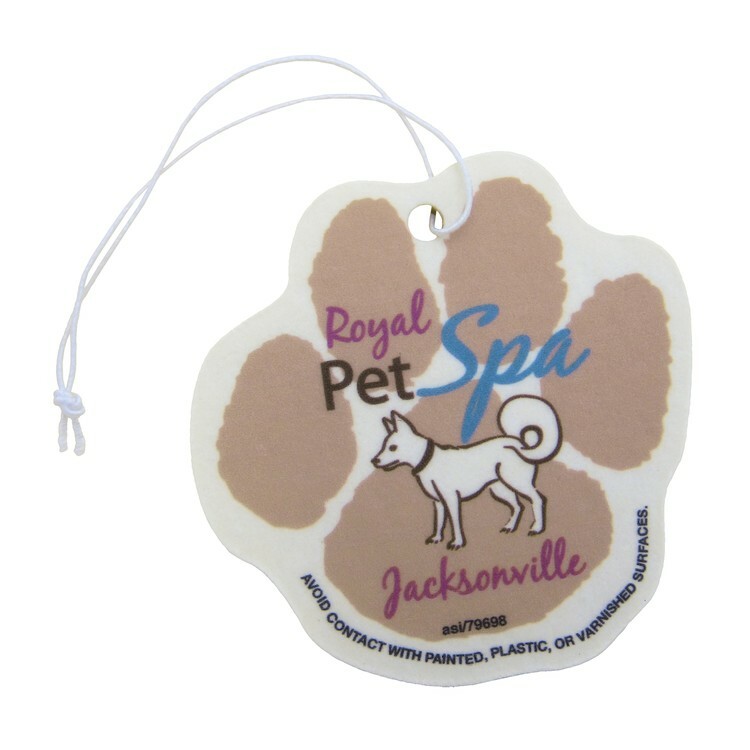 Paper air freshener price includes a 4-color process imprint and choice of scent: Lemon, Peach, Pine, Vanilla, Raspberry, Clean 'N Fresh, Apple and Gingerbread. Disclaimer: Note that all paper air fresheners will be marked "AVOID CONTACT WITH PAINTED, PLASTIC OR VARNISHED SURFACES". Imprint Area: 2.7" x 2.58". Product Colors: Buff base with tan paw pads. Production Time: 7-8 working days after proof approval. Rush service may be available - call for details. Packaging: Individually polybagged with elastic string. Overruns/Underruns: +/- 5% is normal and will be billed accordingly. Please note on your purchase order if exact quantity is needed.